Contact the Blog's Owner at the "Opportune Moment"
You know not all the bloggers you contact will accept your guest post. This may be because they get many requests of guest posts, or maybe because they accept guest posts only from people they know. Introduce yourself. Don't give a full bio, write just a sentence or two saying who you are and what you do. Remind the blogger if you've had contact with him previously. The blogger may remember you and may not. Certainly you win if the blogger recognizes your name from your frequent, valuable comments on the blog. Mention a few articles of the target blog that you particularly liked, and then say that you’ve written a post that would be of interest to their readers. Highlight the benefits. Explain why your post would be great for their blog. Clearly outline how it will benefit the blogger, their blog, and their readers. Tip: Be sure to mention that your content is unique and is not yet published on any blog or website including yours. This will greatly increase the chances for your post to be published. You know nobody likes just "copy/paste" articles and the bloggers are always looking for new and unique stories. Summarize your post, outline the best points and make it clear how your post would appeal to the blog's readers. This is especially important if the blogger takes the queries only by e-mail first, but it can help get into contact with almost any blogger. 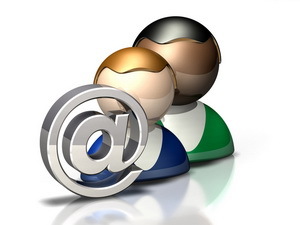 Include your post either in the body of the email or as an attachment. (In my opinion, the body of the email is a safer place because the attachments may be blocked). Ask for little commitment. Don't ask the blogger if they want to publish your post. Just ask them if they would be glad to simply look the post through. Be polite and courteous. Keep in mind that cultural differences come into play on this too. Avoid sending press releases. If you do have a press release, consider not send it but give a link to where it is located online so that if the blogger wants to refer to it (and link to it) they can find it. Be persistent. If you didn't get a reply from the blogger within a reasonable amount of time, don't give up and send a reminder email asking if they got your first one. If the blogger gets many emails, it's difficult to respond to everyone on the first try. Unless your post is too similar to something the blogger has already written about, or if it doesn't suit their target audience, the blogger will most likely be happy to see what you come up with. Anyway, you don't ask for a final answer or demand to post your story. All you're doing is ask the blogger to look over what you write. Once you reach this stage, your chances of being published are very high. At worst, the blogger might request that you edit the post if he doesn't like anything. If the blogger says that they’re going on vacation (moving, having a baby, or simply taking a blog break). Usually such a decision is followed by a call for guest posts. Once it is done, you should hurry up to be ahead of your competitors. Contact the blogger as soon as they mention their wish to go to sandy beaches. If the blogger says they’re feeling sick. This is another great opportunity for you. Offer to write a guest post so the blogger can have a rest. Act quickly because most people don’t stay sick for too long! If the blogger isn't posting as regularly as they used to. Emphasize with their being busy and offer to take some of the load off. Most bloggers who haven’t been able to post consistently will more likely agree to publish a guest post. And of course, the best time to contact the blogger is when they're asking for guest bloggers. You can't miss such a nice opportunity to promote your own new blog and become an authority in your niche. But again, produce something quickly and contact the blogger as soon as possible after they call for guest bloggers. A link to your RSS feed. Julia Gulevich is a technical expert associated with development of computer software like Advanced Administrative Tools, Advanced Email Verifier, Email Marketing Software, G-Lock SpamCombat, Fast Directory Submitter. She wrote many articles on SEO, Internet marketing, Link Building and Email Marketing. You can read more of her thoughts and experiences on blog commenting and New Link Building Methods at Fast Blog Finder. If the host blogger agrees, you can include a picture of yourself in your bio. keep your blog up-to-date and these new visitors will convert to regular readers. Other advantages guest blogging offers is that you get a backlink to your blog which will help you rank better in search engines and increase your blog traffic. The blogger you write a guest post for may link to some of your future posts if they like them, getting you even more new readers for your blog. You also become much closer to the blogger and they may even accept more guest posts from you.